NEW this year: runners will be ranked in their 10-year age category bracket, with trophies awarded to the top-3 placers. Runners of every age can now make it to the podium and be recognised for their outstanding performance. [COMMENT] Yet another race that has made the switch from a morning to a sunset race. More distressingly, the price for the 21K has jumped from $53 (early bird) last yr to $62 this yr or a whopping 17% increase! Granted, you get a running backpack and drink bottle, but frankly, I rather not have those and has the price remain unchanged. This race has always had a 'no frills' feel to it and was always one of the cheapest HM on the race calendar. This yr, there is a certain sheen to everything from the website, the merchandise, social media etc It's as if a professional outfit has come in and gave it a makeover. Of cos, there's nothing wrong with improvement but I wish these improvements need not have come with such a hefty price increase. Still, this is one of my streak races so I'm likely to sign up despite the price increase. Neither HiVelocity or Pink Apple is organising the race this yr. Instead, Metasport will be handling the race logistics. They are not newbies and had organised the metasprint series and some bi/triathlon. Though I had never participated in any of the events they organised, they seem fairly competent and I had not really come across many negative comments about their events. Maybe those who had joined their events can feedback. The date 30 Oct seem like a date for Newton Challenge Run which alway fall on last weekend of Oct. Will there be a clash of date? Wah got running backpack, not bad. Evening start time, no need to wake up so crazy early and still have sufficient time to take public transport home unless something goes wrong. Fast runners may be able to do 21km + 12.8km/6km categories and forget about Newton Challenge. Wow, I will sign up just because they are able to announce the route at the registration phase instead of "we will announce later on". I guess this is the real "sundown" run. Very interesting changes to this run this year! First of all, an evening run will definitely attract more runners who are not keen to wake up early for a run. Second, runners will be ranked in their 10-year age category bracket, and each will have their own podium trophies, making sure that more runners are recognized for their love for running. Third, the race route is released during registration, which is definitely the right thing to do. While the routes are nothing new, they still manage to inject some creativity into ensuring that there are some fresh elements into it. The only drawback is as per what Lonewolf mentioned, price. No doubt there are more entitlements to justify the increase in price, I would also prefer keeping it more to a no-frills and keeping the registration fees lower. Rather than calling it the real "Sundown" (entire run is not ran in the dark), I would say this is the real "Marina Bay run" (both also start at Gardens By the Bay East) if they are able to provide with better support and logistic management Epic ESR. Good initiative to have age groups. But I wonder whether the ten-year range is standard for age group races elsewhere. Seems a bit wide to me. I would have thought 5-year ranges is more suitable. I joined last year race and surprise their participants greatly reduced for a well organized race. That why they come up with these changes. While I agree that introducing the age-group ranking is an excellent initiative, I dread to imagine what that will do to the already very lengthy prize presentation ceremony. As those who had joined this race before will recall (if they stick around for the lucky draw), this race has the most and longest prize ceremony that can rival any of the awards shows on TV. At most races, the prize ceremony is probably 10-15 minutes. This race is at least twice as long. So with 6 age ranking for the HM and 7 age ranking for the 12.8, you are looking at 13x2x3 = 78 prize winners to award. Even at 1min/person, that's an additional hr of prize ceremony! And that's just the general public category. Add in the Public Officer category, you looking at another 15x3 = 45 prize winners. Easily another 45mins. But I dun see any lucky draw being scheduled in the programme, so maybe no need to stay after the race. Speaking of that, they would have a lot more work to do than the other races in validating who are the winners, and to align them for the awards ceremony. Let's hope that there are no rats to make things even more difficult for the organizer. And yes I don't think most runners will be staying for the ceremony, so the organizer can just take their own sweet time to give out to the awards. Don't think it will be much of a concern. Many significant changes (mostly positive ones) for this edition. Could be largely due to a different event organizer? I think last year it was HiVel, the year before was PinkApple and this year is MetaSport. OMG. I just discovered a potential deal breaker. In the list of partners , I see an unwelcome name. 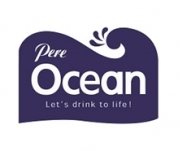 If Pere Ocean is providing the isotonic, then streak race or not, no way am I'm signing up for this race. Stay tuned for further update. [UPDATE] I wrote to Metasport and received a swift reply (within an hr!) that Pere Ocean will indeed be only supplying the water. They have yet to confirm an isotonic supplier/sponsor. Race pack goodies, not bad leh. If only can have both event Tees and Singlet, much better. Thanks bro for helping us to check! Yes Pere Ocean isotonic drink will be a deal breaker for me. The fact that the product is still in market is baffling to me. No need to stay if you are not in the podium. I will not be one of them. I usually stay for the lucky draw that takes place after the prize ceremony. Of cos, if no lucky draw then no need to stay. Hence the running backpack and drink bottle for one to carry own hydration. This is an Evening race.. maybe depends if u prefer evening or morning race..
Newton Run is a training run for SCMS because it got 32km. Many may not want to miss it. But since CSC is on 20 Oct instead of 27 Oct , I think it won't be a b2b.